"La Hoguette Residence" is composed of 8 studios and apartments. 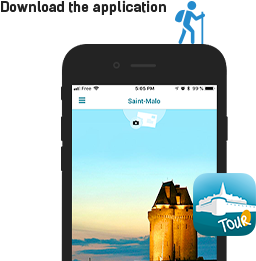 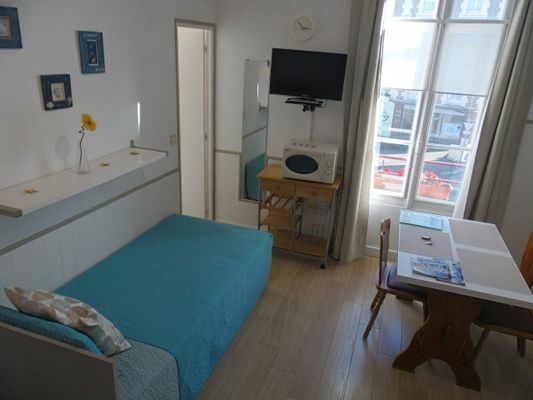 It is located at 17 avenue Pasteur in Saint-Malo, 30 meters from the large sandy beach Le Sillon. 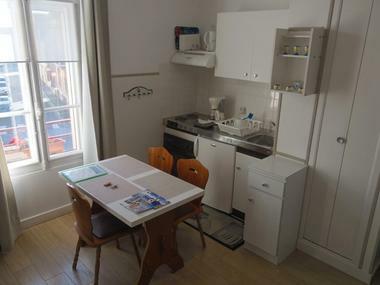 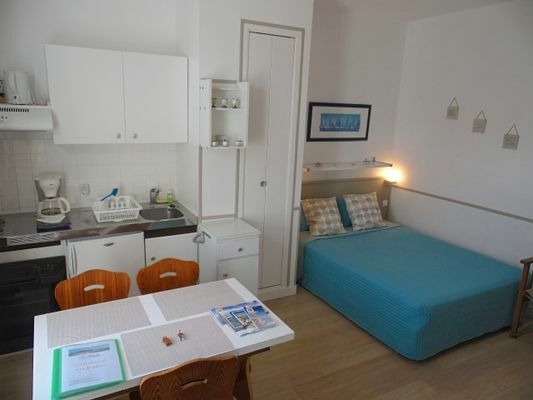 Close to shops, thalassotherapy centre, surf school, 15/20 minutes walk from the old city Intra-Muros and 900 meters from the TGV station. "Le Grappin" is located on the 1st floor of the residence, this 22 sqm studio is classified 2 stars. 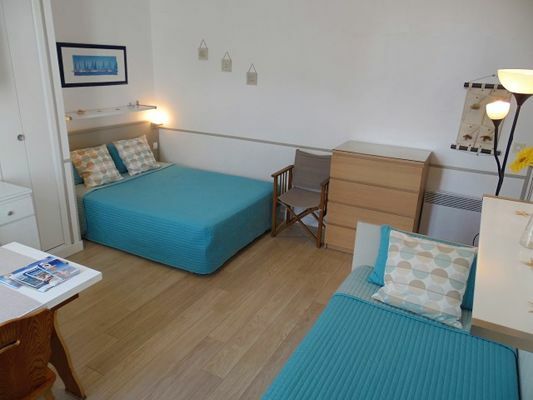 Pleasant and sunny, it is composed of a living room with sleeping area, kitchenette and a bathroom with shower and toilet. 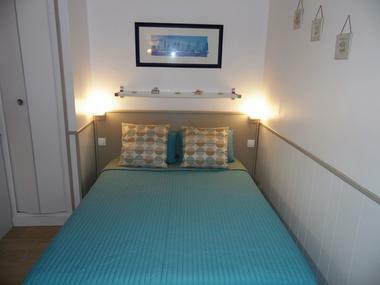 Ideal for your family stay in Saint-Malo. Logement très confortable. La résidence est très bien située (commerces, restaurant, gare et plage à proximité). 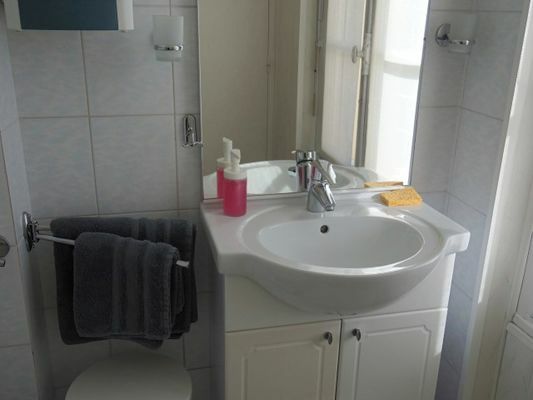 Nous reviendrons avec plaisir.